Joshua Aaron Server (born April 11, 1979) is an American actor best known for being the only All That cast member to remain through all six original seasons. All That is an American sketch comedy television series created by Brian Robbins and Mike Tollin. The series originally aired on Nickelodeon from April 16, 1994 to October 22, 2005, lasting ten seasons, and was produced by Tollin/Robbins Productions. The pilot episode was originally shown as a special "sneak peek", with the show officially debuting a regular series on December 24, 1994. Angelique Bates is an American actress, comedian, and rapper best known for the two seasons she served on the Nickelodeon sketch-comedy series All That. Lori Beth Denberg is an American actress and comedian. She is best known for her work as an original cast member of the Nickelodeon sketch comedy series All That and for her role as Lydia Liza Gutman on The WB sitcom The Steve Harvey Show. Katrina Ann Johnson is an American actress. Server began on All That at age 15 to tape the pilot for the show. His characters include Detective Dan, Earboy, Jimmy Bond Agent 1/7, and Bernie Kibbitz. In 1997, he and a few cast members starred in the 1997 feature film Good Burger (based on the All That sketch of the same name). Good Burger is a 1997 American comedy film directed by Brian Robbins and written by Dan Schneider, Kevin Kopelow and Heath Seifert. Starring Kenan Thompson and Kel Mitchell, it is based on the comedy sketch of the same name on the Nickelodeon series All That. 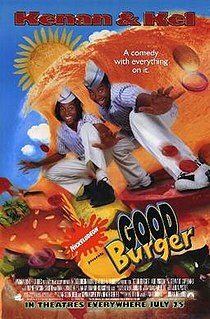 Produced by Nickelodeon Movies and Tollin/Robbins Productions, Good Burger was released worldwide on July 25, 1997 by Paramount Pictures. It received mixed reviews from critics and grossed $23.7 million against a budget of $8.5 million. Over the years it has since gained a cult following. 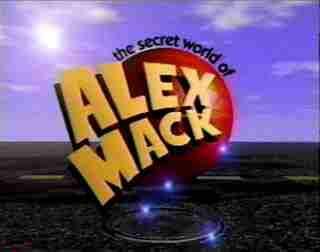 The Secret World of Alex Mack is an American television series that ran on Nickelodeon from October 8, 1994 to January 15, 1998, replacing Clarissa Explains It All on the SNICK line-up. It also aired on YTV in Canada, Channel 4 in the United Kingdom and NHK in Japan, and was a staple in the children's weekday line-up for much of the mid-to-late 1990s on the ABC. Repeats of the series aired in 2003 on The N, but it was soon replaced there. The series was produced by Thomas Lynch and John Lynch of Lynch Entertainment, produced by RHI Entertainment, Hallmark Entertainment, and Nickelodeon Productions, and was co-created by Tom Lynch and Ken Lipman. Figure It Out is an American children's panel game show that aired on Nickelodeon. The original series, hosted by Summer Sanders, ran for four seasons from July 7, 1997 to December 12, 1999. The show was revived in 2012, with Jeff Sutphen as host, with the revival airing from June 11, 2012 to July 16, 2013. The series was originally recorded at Nickelodeon Studios at Universal Studios in Orlando, Florida. The revival episodes were filmed on stage 19 at Paramount Studios in Los Angeles. After he and the last cast members of the original All That had left, he moved on to host Oh Yeah! Cartoons for Season 3 in 2000-2001. Afterward, he made another guest appearance in a Season 3 episode of 100 Deeds for Eddie McDowd in 2002. Oh Yeah! Cartoons is an American animation showcase that appeared on the Nickelodeon cable network, which was created and guided by Fred Seibert, former Creative Director of MTV Networks and President of Hanna-Barbera. Produced by Nickelodeon Animation Studio and Frederator Incorporated, it ran as part of Nickelodeon's Nicktoons lineup, and, in its second season, was hosted by Kenan Thompson of All That and Kenan & Kel fame; followed later by Josh Server, also from All That, for its third season. Bill Burnett composed the show's theme music. 100 Deeds for Eddie McDowd is an American television sitcom created for Nickelodeon by Steven H. Berman, Mitchel Katlin, and Nat Bernstein. The series ran for three seasons - from October 16, 1999 until April 21, 2002. Server returned to All That for its 10th Anniversary special which aired in 2005, reprising a few of his characters. In 2006, he made a guest appearance in a third season episode of Drake & Josh . In 2006, Server began starring in the web series Laugh Out Loud with Kenan Thompson. In early 2007, he appeared in a season 3 episode of Ned's Declassified School Survival Guide and an episode of Sam & Cat in 2014. He's made several All That reunion-type appearances, such as 2015 New York Comic-Con and a 2018 episode of Wild 'n Out . Server was born in Highland Park, Illinois. He has a younger sister who was born in 1982. He is good friends with all of his cast mates on All That, including Kenan Thompson and Kel Mitchell. He's also good friends with Nickelodeon series stars Drake Bell and Josh Peck, along with Miranda Cosgrove. Josh has stated in the 1998 collector's guide, All That: Fresh out the Box , that his hobbies are going to the movies, rollerblading, the beach, and working out. 1996 The Secret World of Alex Mack Louis Spivey Episode: "Spivey"
1997 Sports Theater with Shaquille O'Neal Griffin Episode: "Broken Record"
1999 Kenan & Kel Phillip Episode: "Poem Sweet Poem"
2002 100 Deeds for Eddie McDowd Charlie Episode: "Slap Shot"
2002 For Your Love Arnold Episode "The Blast from the Past"
2006 Drake & Josh Jeff Carlson Episode: "Theater Thug"
2007 Ned's Declassified School Survival Guide Speedy Dot Delivery Guy Episode: "Guide to Extra Credit"
2014 Sam & Cat Agent Partridge Episode: "#FirstClassProblems"
Kel Johari Rice Mitchell is an American actor, stand-up comedian, musician, singer, and rapper. He is known for his work as a regular cast member of the Nickelodeon sketch comedy series All That, as the Invisible Boy in the 1999 Ben Stiller and Geoffrey Rush superhero satire film Mystery Men, his portrayal of Kel Kimble on the Nickelodeon sitcom Kenan & Kel, his role as Ed in the film and All That sketch Good Burger, as the voice of Dutch in the Disney XD cartoon Motorcity, and as Ray in the 2006 sequel to Like Mike, Like Mike 2: Streetball. He currently stars as Double G on the Nickelodeon series Game Shakers. 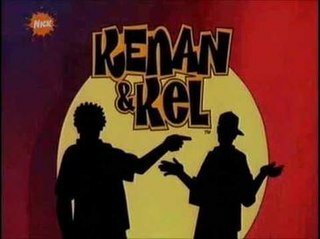 Kenan & Kel is an American teen sitcom created by Kim Bass for Nickelodeon. It starred All That cast members Kenan Thompson and Kel Mitchell. 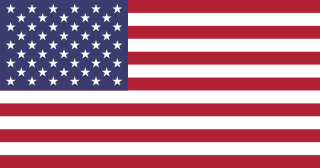 62 episodes and a made-for-TV movie were produced over four seasons from 1996 to 2000. The first two seasons were filmed at Nickelodeon Studios in Orlando, Florida, and the remaining two were filmed at the Nick on Sunset theater in Hollywood. Joshua Michael Peck is an American actor, voice actor, comedian, and YouTube personality. He is best known for playing Josh Nichols alongside Drake Bell's character in the Nickelodeon sitcom Drake & Josh from 2004 to 2007, and in its two television films in 2006 and 2008. He began his career as a child actor in the late 1990s and early 2000s, and became known to young audiences after his role on The Amanda Show from 2000 to 2002. He has since acted in films such as Mean Creek (2004), Drillbit Taylor (2008), The Wackness (2008), ATM (2012), Red Dawn (2012), Battle of the Year (2013), Danny Collins (2015), and Take the 10 (2017). He has voiced Eddie in the Ice Age franchise since Ice Age: The Meltdown (2006), and voiced Casey Jones in the Nickelodeon animated series Teenage Mutant Ninja Turtles (2012–17). He also starred with John Stamos in the Fox comedy series Grandfathered (2015–16). Nathan Karl Kress is an American actor, director, and former professional child model. Kress has been acting since the age of four and played the role of Freddie Benson on the Nickelodeon series iCarly. The first season of the American sketch comedy-variety show All That ran on April 16, 1994 as a special preview, but officially ran from December 31, 1994 to April 1, 1995. The first season began in 1994-1995 with the pilot and 14 episodes. On April 16, 1994, Nickelodeon aired the All That pilot, which was the beginning of Season 1, the beginning of the "Golden Era", and the start of the All That series. All That's second season ran from October 7, 1995 to October 12, 1996. This season contained 22 episodes. All That's sixth season ran from January 15, 2000 to November 18, 2000. This season contained 16 episodes, in addition to 11 specials titled the Best of All That in 1999-2001. The first episode of the seventh season on All That featured special guests Frankie Muniz and Aaron Carter and aired on January 19, 2002. This season ran from January 19, 2002 to May 4, 2002 with 13 episodes aired, the fewest out of all the other seasons. The season was taped from late 2001 to very early 2002. All That: Fresh out the Box is a 112-page All That collectors book that was released on October 1, 1998 and is distributed by Nickelodeon, Tollin/Robbins Productions, and Pocket Books. Released before the fifth season, the book includes only information on the first four seasons of the show. This is the 9th season of All That and the third season of the relaunch era. This season aired from late 2003 until early 2004. This season had only 15 episodes. The tenth season of All That aired from early 2005 until late 2005. This is the 4th and final season of the relaunch era. The season aired 15 episodes, beginning with a special to celebrate the 10th anniversary. Approximately 6.2 million total viewers watched the special on both its April 23 and April 24 airings, making it the top cable or broadcast program for the 2-11, 6-11, and 9-14 age demographics. NickRewind is a programming block that airs nightly on TeenNick. The block shows reruns of classic mid-late 1980's, 1990's, and early-mid 2000's children's programming, mostly shows that aired on Nickelodeon during their original runs. The block airs seven nights a week from 11 p.m. to 6 a.m.
↑ "Josh at TV.com" . Retrieved 2008-10-05. ↑ "Josh at Rottentomatos.com review" . Retrieved 2008-10-05. ↑ "Josh's biography at rottentomatos". rottentomatos.com. Retrieved 2008-10-06.